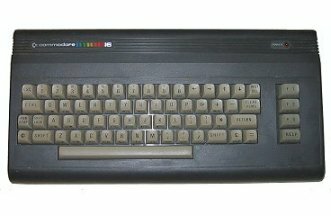 I found my first C16 under a pile of old circuit boards in the same surplus electronics store that I found my first TRS-80. Missing the power supply pack but otherwise complete, however without the power supply I have been unable to test it to date. I also picked up a box of assorted software and manuals and a datassette unit at the same, a second datassette unit was acquired at a later day. These datassette differ to the normal Commodore ones being black to match the C16's colour and having the C16's mini-din plugs rather than the edge connector interface of other more standard Commodore computers. My second C16 came with a box of mystery parts I bought from an online auction site. Also missing the power supply I haven't tested this yet.